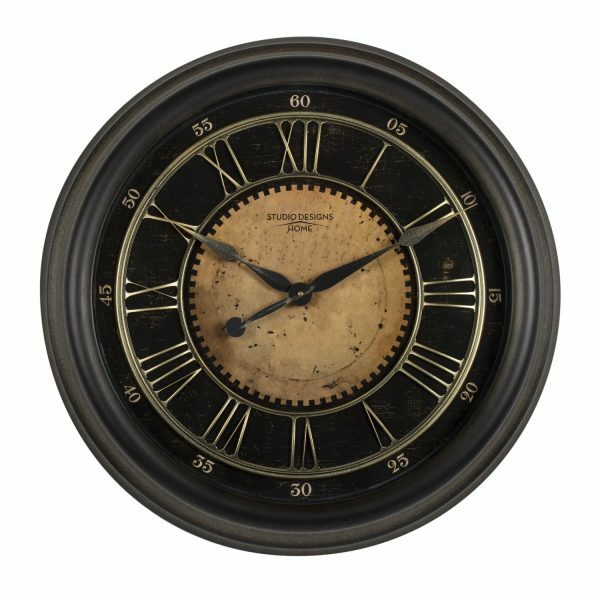 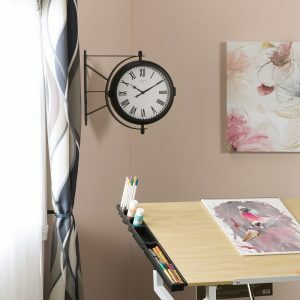 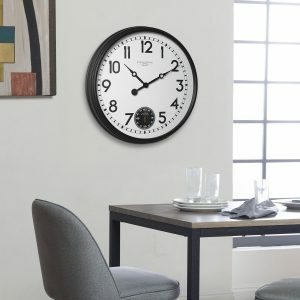 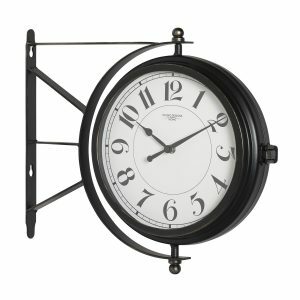 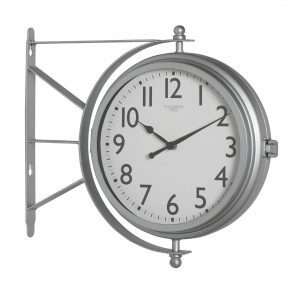 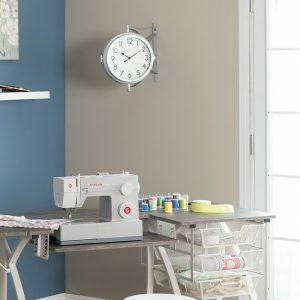 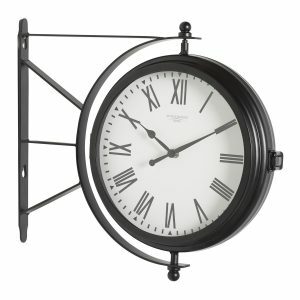 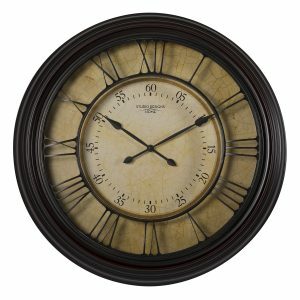 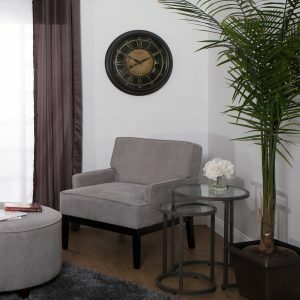 The warm finish and classic European styling of this wall clock by Studio Designs Home make it a perfect addition to your kitchen or living room. 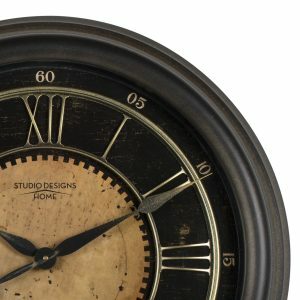 The bronze finished Roman numeral grill is situated above the glass lens giving it an updated twist to the standard face. 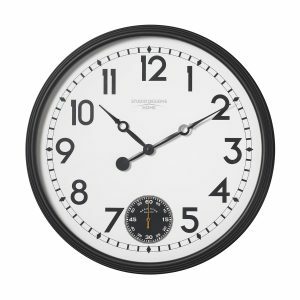 The quartz movement of the delicate hands mark the hours as well as the Arabic numeral minute track. 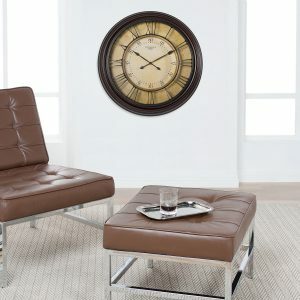 The durable and lightweight plastic frame makes it less prone to scratches and dents than a traditional wood frame. 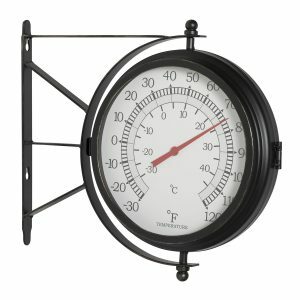 Its large (24-inch diameter) makes it a striking addition to your home. Requires one AA alkaline battery (not included).